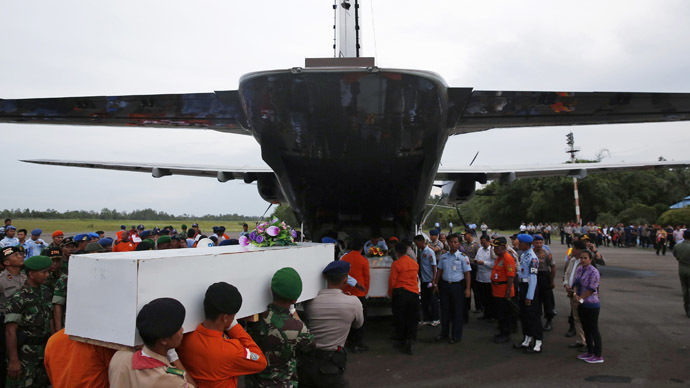 The bodies of 30 victims of the AirAsia Flight QZ8501 plane crash have been recovered as internationally-backed search operations attempt to locate the remainder of the wreckage amid rough weather conditions. Five of the victims’ bodies which were recovered were still belted into their seats when they were found, Indonesian Navy official Col. Yayan Sofiyan told local channel Metro TV. 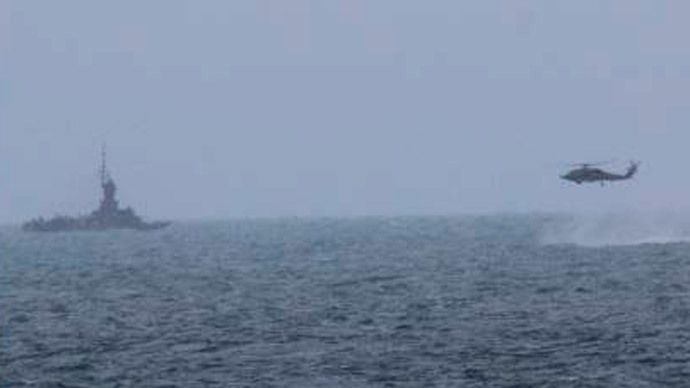 Twenty-one bodies were found Friday, the majority by a US naval vessel. Four bodies have been identified so far. Hayati Lutfiah Hamid was identified Sunday by her fingerprints, and three more bodies were found to be those of passengers Kevin Alexander Soetjipto and Grayson Herbert Linaksita, and crewmember Khairunnisa Haidar Fauzi. 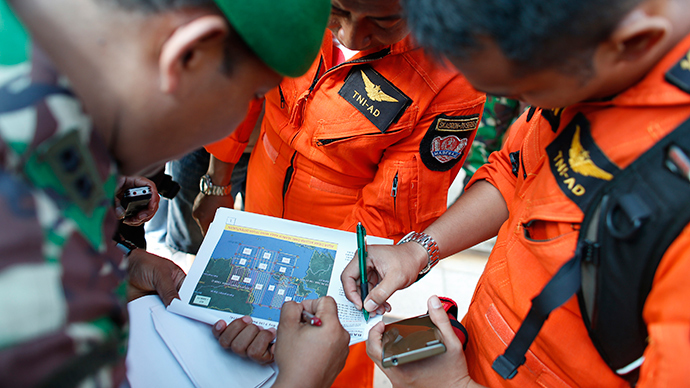 Rear Marshal Henry Bambang Soelistyo, head of Indonesia's National Search and Rescue Agency, has said that bad weather is a concern as his staff attempt to safely conduct the search. The search is also complicated by the fact that in 1942 one of the largest naval battles of World War II, the Battle of the Java Sea, took place in the area. The search team is currently using sophisticated sonar equipment and metal detectors, AP reported. The crews hope that when the fuselage is located it will have along with it some 150 passengers and cabin staff still missing, bringing some form of closure to relatives. “We will focus on underwater detection,” Soelistyo said and vowed to recover the bodies of "our brothers and sisters ... whatever the conditions we face." He estimated that the fuselage is currently at a depth of between 80 and 100 feet. Nearly 100 vehicles have been deployed in the search. “We have now 65 ships, 14 planes and 19 helicopters in operation for the rescue and evacuation of #AirAsia8501,” Commander of the Indonesian Armed Forces, General Moeldoko, wrote on Twitter on Friday. 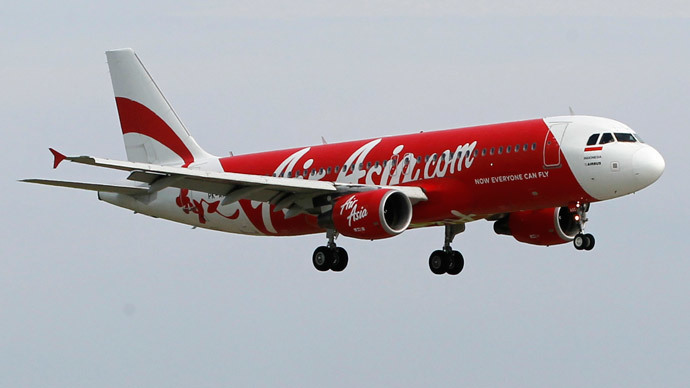 The wreckage of the Airbus 320-200 has been dispersed over an area spanning approximately 5 square kilometers. An oil slick has been sighted in a priority search area, according to the search and rescue chief. Rescuers hope the fuselage will contain the remains of the majority of passengers and crew still missing as well as it would give answers to what could have caused Flight 8501 to go down. Investigators "are looking at every aspect" as they try to determine why the plane crashed, said Toos Saniotoso, an Indonesian air safety investigator. "From the operational side, the human factor, the technical side, the [air-traffic control] — everything is valuable to us," he said. 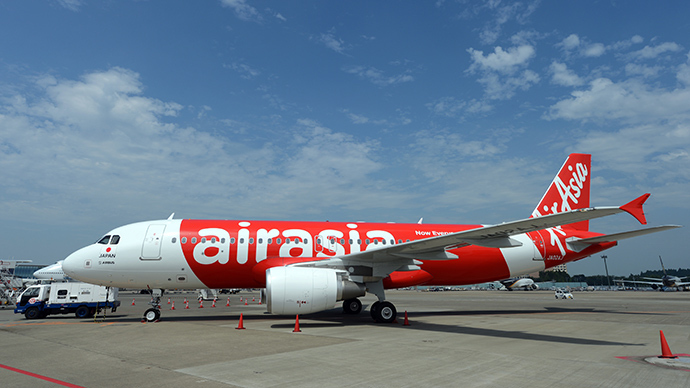 The Airbus, carrying 162 people, disappeared Sunday morning amid poor weather conditions as it was flying from Indonesia’s second-largest city of Surabaya to Singapore. Indonesia is in charge of the search, with Singapore, Malaysia and Australia taking part, as well as Thailand and the US joining the operation. Russia has also flown out to Indonesia a team of emergency recovery specialists and high-tech search equipment. After two days of scouring the sea for signs of the aircraft, the search teams started encountering debris and bodies Tuesday, reducing hopes that the missing passengers and crew could be found alive.